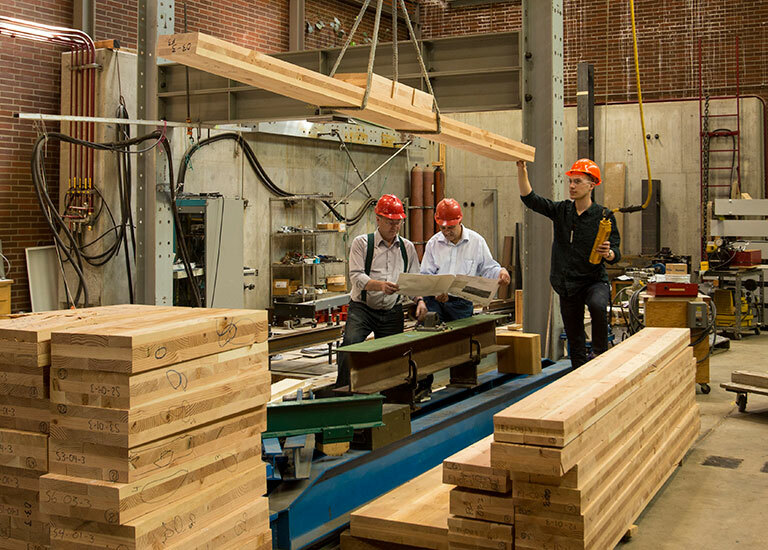 Researchers in a laboratory at Oregon State University study the properties of cross-laminated timber. CLTs are a way to reduce the embodied impacts of a structural system. Photo: Oregon State University. License: CC BY-SA 2.0. We rarely think about our building products beyond their immediate impact on a building or its indoor air quality. But we should. How much energy does it take to make a product? What are the raw materials? How much does the product contribute to global warming? With additional knowledge, you will have a more nuanced view of why products are environmentally sustainable and how they can be improved in the future. Live webinar on the sustainability of wood construction. Building materials emit massive amounts of carbon long before the lights go on. Here’s how thoughtful design can reduce global warming impact. A reader argues that a flawed study mars the message of a recent BuildingGreen report on embodied carbon. The number of certifications and regulations addressing embodied carbon of building materials has doubled over the past five years. The carbon that’s emitted when we produce materials and construct our buildings is finally getting the attention it deserves.